Across the alley from the Golden Gate, today sits the La Bayou, where you can get an assortment of souvenirs and large drinks. On the side of the wall, the paint is peeling and you can see traces of the signage that use to be there. Hopefully, the paint will continue to peel so that we can discover the business underneath it. This is the site of the famed Northern Club. But before it became the Northern Club, in the 1900s it was the Las Vegas Coffee House. In 1920, Mayme Stocker opened the Northern Club on the property. Originally it was a soft drink emporium but Northern was code, back in the day, for miners and veterans of mining camps and they knew it was a place, despite Prohibition, where they could not only get a real drink to wet their whistle but also take a chance at Lady Luck. Mayme was the owner of record. Her husband, Oscar, worked for the Union Pacific which seriously frowned on their employees having outside interests. 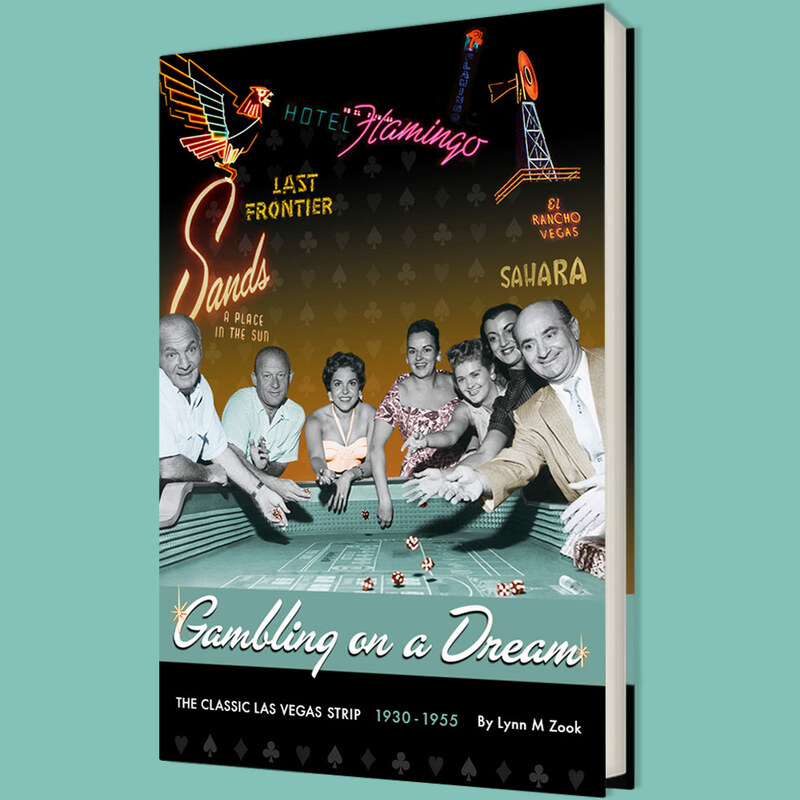 Despite the anti-gambling law, their were five games of chance that could be played in Las Vegas back then: stud, draw and lowball poker, 500 and bridge, according to Mayme's son, Harold.Harold had quite a colorful childhood moving with his mother between Montana and Las Vegas and then to Los Angeles when the Grammer School burned down. One summer, Harold went down to Tijuana and got a job learning to deal. He was only 17 years old. After WWI, Harold returned to Las Vegas and got a job, like his father and brothers, working for the Railroad. In 1931, with the anti-gambling law repealed, Mayme Stocker applied for and was awarded the first gaming license in Las Vegas. Harold's older brother Lester was a professional gambler and according to Harold, was largely responsible for getting the anti-gambling law repealed. The $10,000 that the Stocker family helped raise to fight the anti-gambling law probably didn't hurt either. After Lester and Oscar died, Mayme retired from the Northern Club, letting others handle the daily operations of the place. In 1945 she leased the place to Wilbur Clark who promptly renamed it the Monte Carlo Club. Clarence Stocker continued to run the Northern Hotel on the second floor. Harold built and operated the Chief Autel Court, the largest apartment building in the State in its day. It was a brick building located at Fremont Street and Maryland Parkway. Clarence died in 1952, Mayme died in 1972 at the age of 97 and Harold died in 1983 at the age of 82. In the late 1970s, the Coin Castle with its giant King atop the building, opened on the site. The Coin Castle closed shortly after the turn of the century. The King's head and his body are in the Neon Museum boneyard.